Beequeen is the duo of Frans de Waard and Freek Kinklaar and Sugarbush is their third CD release. Frans is also the erstwhile publisher of the excellent experimental/industrial music fanzine VITAL. 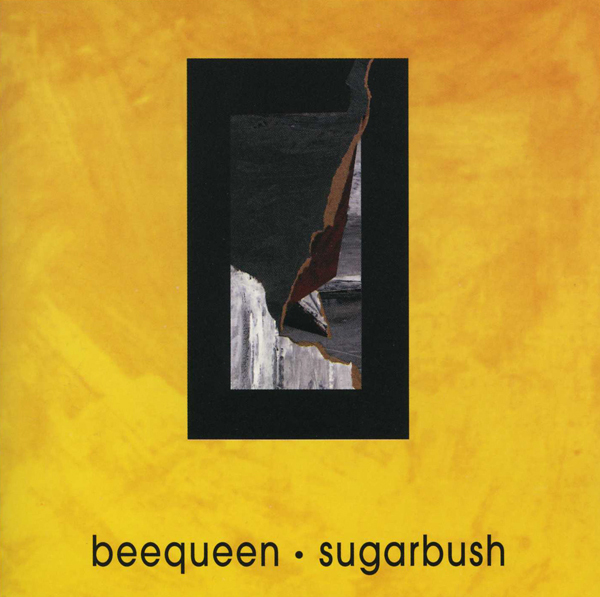 Sugarbush contains seven tracks of musique concrète, industrial, and avant garde electronic music. The opening track, "10 Minutes before the Worm," is the ultimate sound sculpture using such diverse elements as running water, an airplane flying overhead, pouring rain, footsteps, a door opening, and electronics. The remaining six tracks demonstrate Beequeen’s ability to compose dark moody atmospheres, alien tribal music, clangorous noise, and eerie cosmic excursions similar to Klaus Schulze’s Irrlicht, and insects from hell. This shifting of styles and moods from track to track is an excellent technique for maintaining your interest throughout the CD. Sugarbush is quite an enjoyable CD and a necessity for those of you who want that dash of adventure added to your mundane listening habits.